DESCRIPTION Paradise found in this stunning Sanderson Ridge TOP FLOOR condo, a 40+ community that cradles beautiful Fish Creek Park. No detail is overlooked, from the stunning craftsmanship of the exterior timber to the unsurpassed quality of the finishes in this 2 bedroom, 2 bath condo. This unit features 9' ceilings, wide plank hardwood flooring, Hunter Douglas blinds, quartz counters, full-height kitchen cabinets, designer back splash & under mount sinks. You’ll love the tiled showers/glass doors, top of the line appliances incl. washer & dryer, California closets, large balcony, 2 heated parking stalls/storage areas. Sanderson Ridge is well equipped for any hobby. Pool tables, games & poker rooms, fitness centre, bowling alley, craft room, wine cellar & woodworking shop-complete with power tools-are waiting for you. There's a movie theatre, swimming pool, hot tub, steam room, coffee bar, fully equipped kitchen & "The Sanderson Room" available for events & 2 car-wash bays. This condo has never been lived in. Courtsey of REALTY 2000 INC..
Home for sale at #1403 2330 Fish Creek Bv Sw Calgary, Alberts T2Y 0L1. 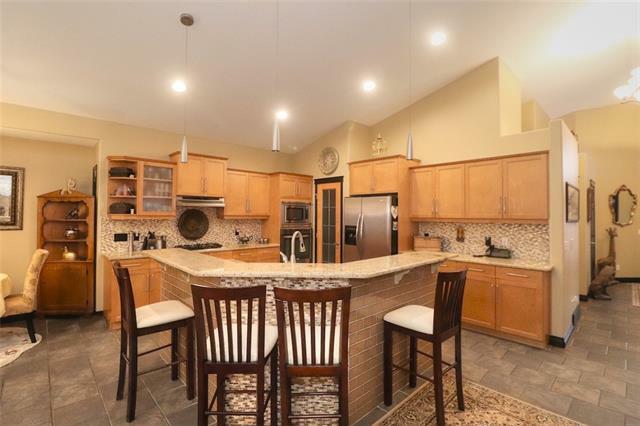 Description: The home at #1403 2330 Fish Creek Bv Sw Calgary, Alberta T2Y 0L1 with the MLS® Number C4220311 is currently listed at $610,000.